Thursday, January 17, 2019 Come and grab some freebies for Three Kingdoms - Idle Games! 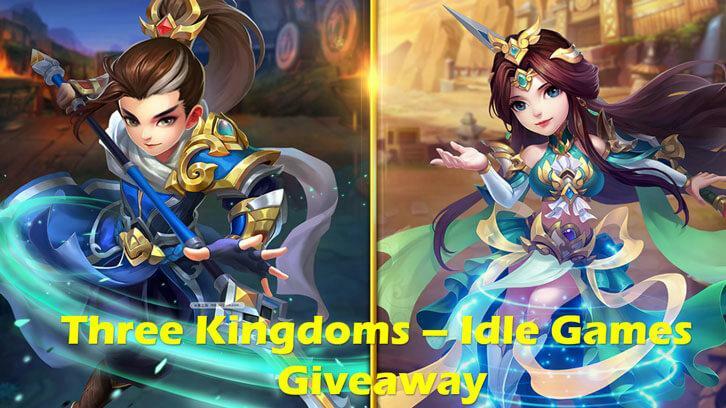 To celebrate the launch of Three Kingdoms - Idle Games, Tapfuns and us are giving away a gift code containing Officer Advance Pill x 20, Temper Stone x 100, Refine Stone x 500, Coins Redeem Token x 1. We've got 100 codes to give away! Details: Code for Three Kingdoms - Idle Games please! 1. Login your account or download the game here (Android). 3. Tap "Welfare" and enter the Benefits Hall. 4. Tap "Code" and enter your redeem code to claim the gift. Don't miss out on this amazing opportunity to get yourself some amazing items - Contact us now and grab a gift code! Each game account can only redeem 1 gift code. The Codes must be redeemed before June 30th, 2019.